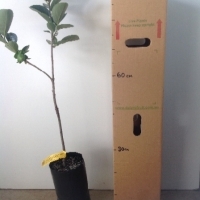 Daleys Fruit Tree has Plants for Sale to Mirrabooka and can Mail Order them to you door. Click to Find out how much Freight Will Cost. An astringent persimmon with medium sized fruits. Excellent back yard tree, it is precocious and is delicious eaten fresh when fully ripe. The tree has particularly beautiful autumn colours in its foliage before the leaves drop for winter. One of the most highly valued pomegranates in the world, thanks to its extraordinary flavour and high antioxidant, vitamin and mineral content. Elche comes from the Spanish city of the same name. 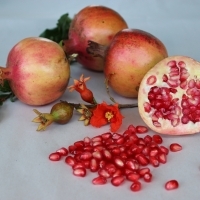 Elche Pomegranates have to be picked at just the right time: Not too early because, once picked, pomegranates halt the ripening process immediately, and also not too late because they are then at risk of bursting. 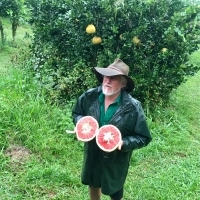 Pinked flesh variety, showing potential in warmer areas. Strong growing tree. 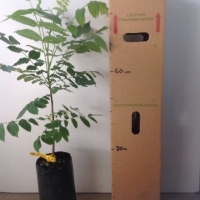 Native to Eastern North America, where it is highly prized for its high quality timber. The edible nut is more difficult to extract than the English Walnut. Used as rootstock because of its hardiness.